Philippians 3:8-11 Yet indeed I also count all things loss for the excellence of the knowledge of Christ Jesus my Lord, for whom I have suffered the loss of all things, and count them as rubbish, that I may gain Christ and be found in Him, not having my own righteousness, which is from the law, but that which is through faith in Christ, the righteousness which is from God by faith; that I may know Him and the power of His resurrection, and the fellowship of His sufferings, being conformed to His death, if, by any means, I may attain to the resurrection from the dead. But there's more to the Golden Gate than just length; truly another "dimension" of knowledge and understanding of the bridge over San Francisco Bay, which might be acquired from the 95-year-old retired construction worker who spent 2 years of his life building it. The knowledge you'll glean from his salt-parched lips will hold you spellbound as he describes wrestling with massive cables in stormy bay weather, or nearly losing his balance leaning over to paint an inaccessible bolt. There are facts -- head knowledge, and there is the knowing of and from experience. We all know this, and it's why we prefer the mechanic who has been fixing cars for 35 years over the novice who just graduated from vocational training school. The apostle Paul wanted experiential knowledge of the Lord Jesus. He wanted fellowship with His sufferings, experiential resurrection power, even, if it were possible, the absolute death of his sin nature. 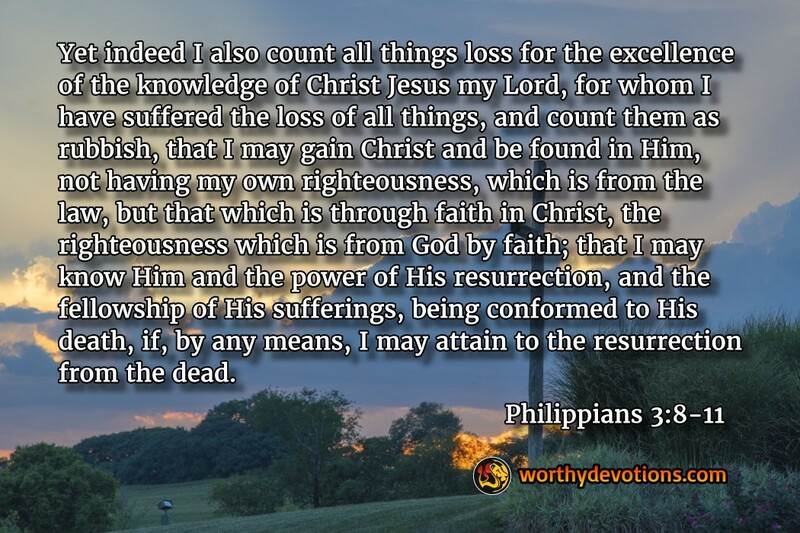 Paul wanted the actual reality of the living Messiah manifested in his life, and he knew and believed this to be his inheritance in the death and resurrection of the Lord. Paul wanted to know Yeshua intimately and personally and share in the Lord's own experiences. This Passover Resurrection Day season as we celebrate and meditate on the factual reality of what happened in Jerusalem 2000 years ago, we might also join the apostle Paul in his own sincere passion; "that I may know Him...."